This year, for the first time in a while, I’ve been celebrating each night of Hanukkah. No presents — just lighting the candles. My sister gave me a nice stone menorah from Israel earlier in the year, which I’ve been itching to put to good use. 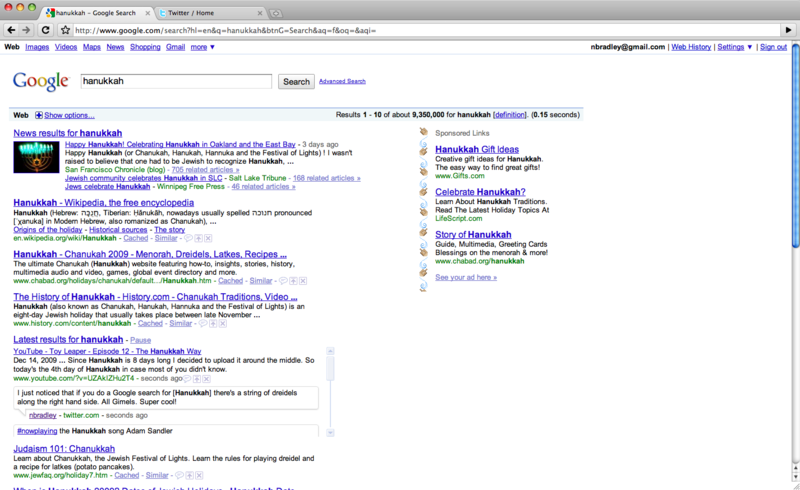 I decided to search for [Hanukkah] to see if there was any relevant news. And then, I noticed dreidels along the right hand side, next to the ads. Super cool, so I decided to tweet about it. This is awesome! 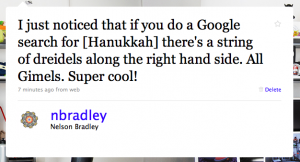 Happy Hanukkah, everyone.